This is a fun game for you to make lots of new words by joining nouns together to make a compound word. 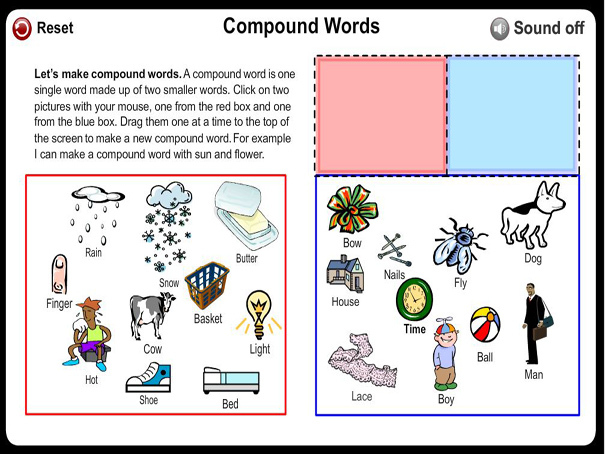 Drag one picture from the red box and one picture from the blue box and make a new compound word. Then look at the sentences and drag the right compound word to fill in the blanks. You can hear the word and sentence at anytime to make sure you have got it right.